This is the little follow on post of the goodies I picked up at the Luna Cinema showing of The Great Gatsby. I got some free makeup samples as part of my ticket, I purchased a couple more and a makeup bag! 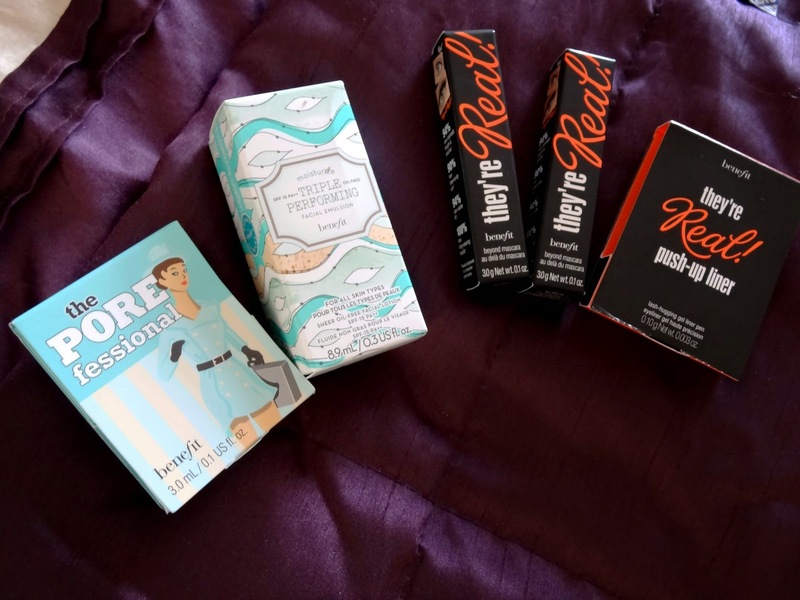 I picked up 2 samples of the They're Real! Mascara, 1 sample of the They're Real! gel liner, Porefessional primer, and the moisuriser. 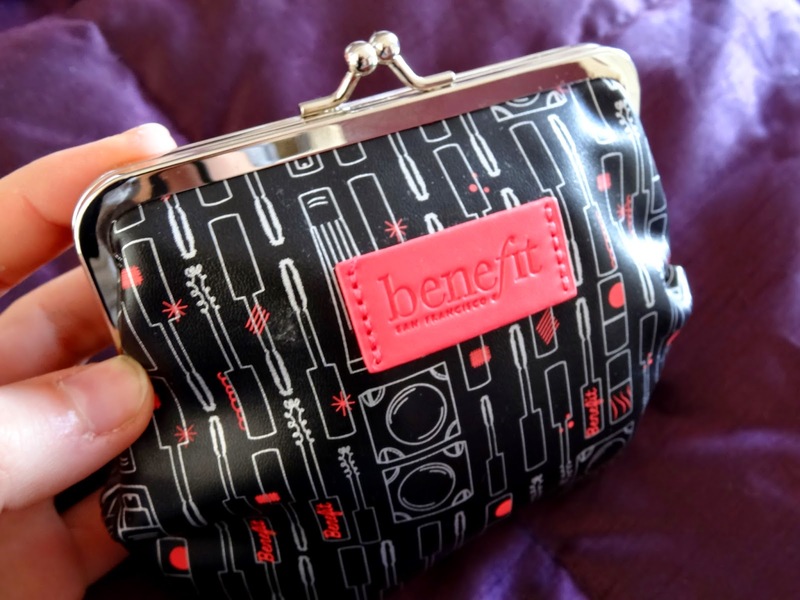 I also purchased a cute benefit makeup bag that features a tiny mirror - how handbag friendly is that?! I'm so very tempted to purchase the gel eyeliner pen. I'm wanting to understand people's reviews on the product. I'm reading/seeing that its amazing, or its not worth the hype. I want to know your thoughts. Leave me your review links in the comment section below. It would be much appreciated! :D I'm so glad I picked up the They're Real! Mascara, It's honestly so good, I don't think that I've tried another mascara so far that makes my lashes so lengthy! 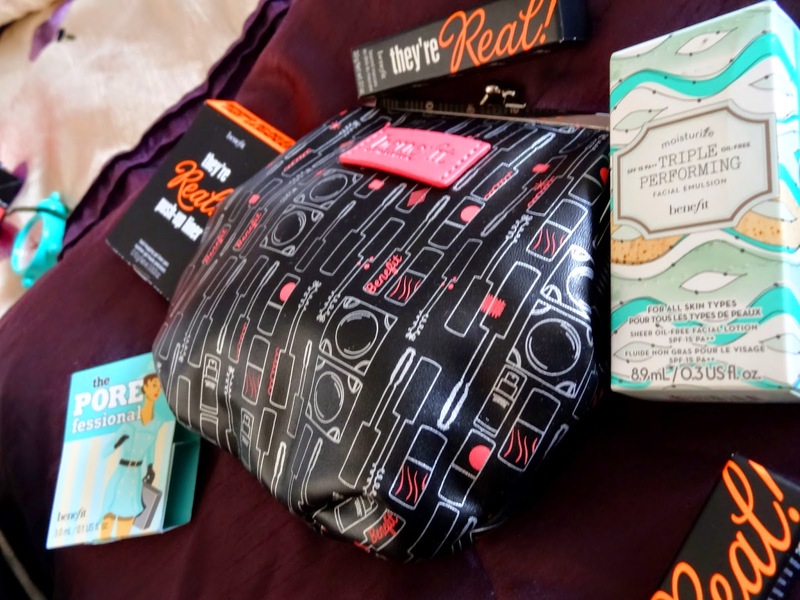 Ooh this is a great way to try out different benefit products! i have never tried the porefessional but really want to :) and i agree about the little makeup holder, so handbag friendly and cute! 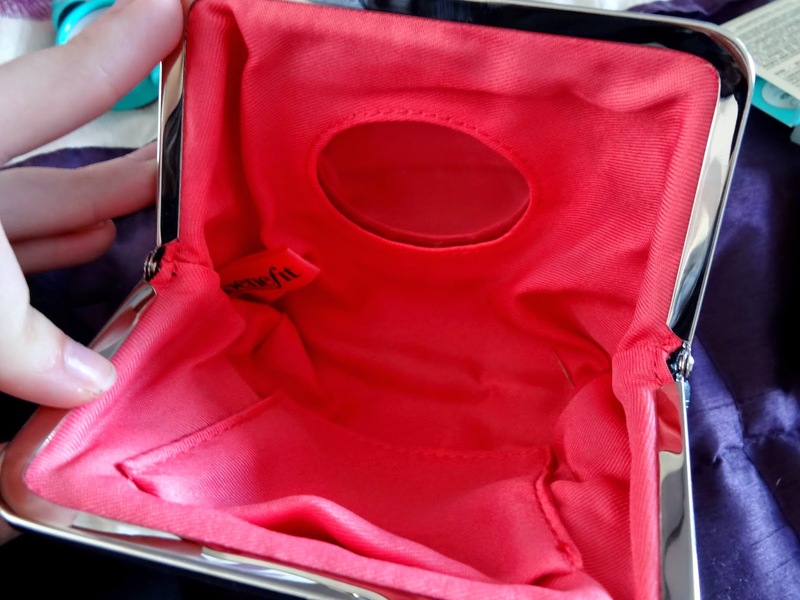 I love that make up bag!